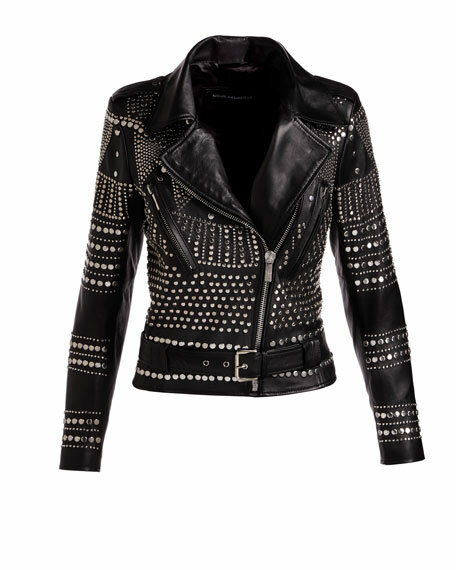 Nour Hammour "Elysee" moto jacket in studded lambskin leather. Notch collar; asymmetric zip front. Angled zip pockets at chest. Adjustable buckle belt at waist. Forget the little black dressParisian label Nour Hammour makes a compelling argument that the leather jacket should be every woman's staple garment. 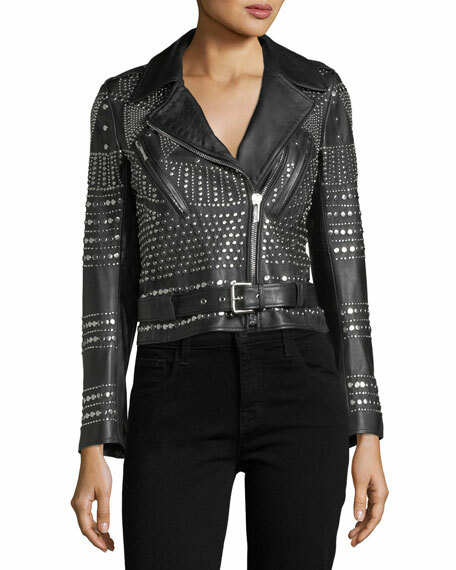 Fringe, fur, and stud embellishments are offered in a range of silhouettes, appealing to a variety of aesthetic tastes. 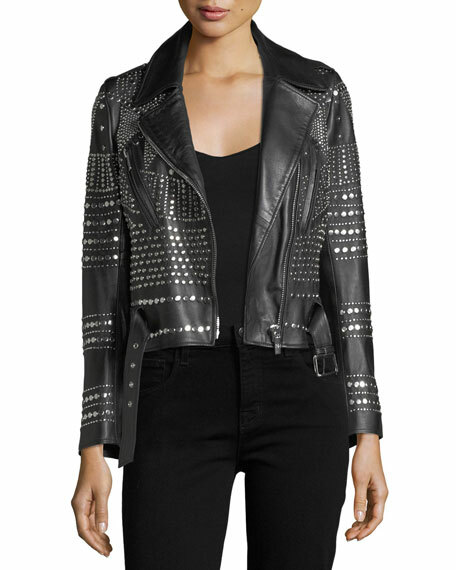 Originally, American ex-pats Nour Hammour and Erin Conry Webb specialized in made-to-order leathers; but the duo decided to bring these exclusive celebrity favorites to a wider market. 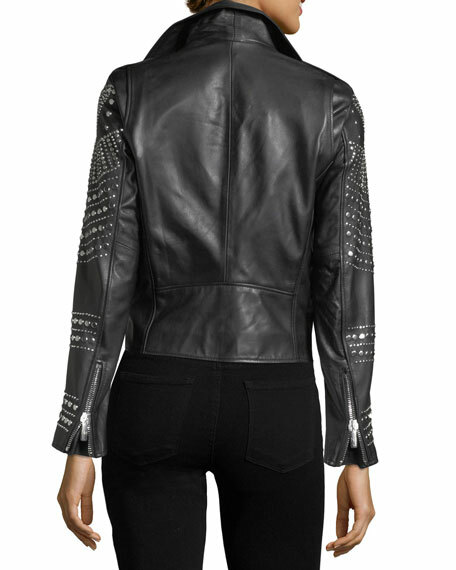 Without compromising quality, Nour Hammour has now expanded into a limited line of ready-to-wear jackets. For in-store inquiries, use sku #2287288.